Selective IgA deficiency is the most common problem found in peoples' immune systems. It involves a deficiency in the part of the immune system that protects against infection in your digestive tract and respiratory system. Approximately one in every 500 Caucasian people has this particular type of immune system disorder. Selective IgA deficiency is especially common in people who have celiac disease. In fact, people with celiac disease are about 10 to 15 times more likely than others to have selective IgA deficiency. So what exactly is selective IgA deficiency? 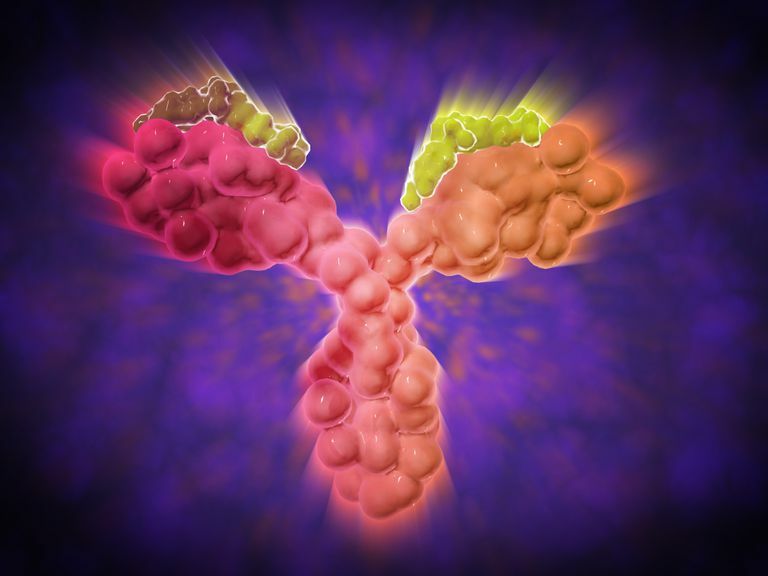 IgA stands for "immunoglobulin A," which is a type of antibody. Antibodies are part of your immune system, which works to keep you safe from threats such as bacteria and viruses. The IgA antibody is a major type of antibody that's present in the mucus in your respiratory system and in your digestive system. This antibody helps your body fight off threats from toxins, bacteria, and viruses that you inhale by breathing or ingest by eating and drinking. When you have selective IgA deficiency, you may have no symptoms at all. In fact, many people with selective IgA deficiency don't realize it, and don't show any obvious symptoms. However, people with the condition are more likely to suffer from frequent bouts with bronchitis, eye infections, middle ear infections, pneumonia, and sinusitis. Some people also have repeated bouts with stomach viruses, and may have chronic diarrhea. If you have selective IgA deficiency, some celiac disease blood tests used to screen for celiac disease won't produce accurate results. That's because the tests depend on your own immune system's reaction to the gluten protein you consume, and selective IgA deficiency prevents those reactions. Doctors can test you to find out if you have selective IgA deficiency. In fact, many doctors will test your IgA levels as part of overall celiac disease testing, because (as I said above) you won't get accurate celiac test results if you have low levels of IgA. That's because of several of the typically used celiac blood tests, including the AGA-IgA, tTG-IgA, and the EMA-IgA, all depend on your having normal amounts of IgA in your blood stream. If you don't have enough IgA, these tests could come back negative even if you do actually have celiac disease. If you're IgA-deficient, your physician will rely more on the results of your AGA-IgG blood test to determine whether you should undergo an endoscopy to diagnose celiac disease. Some people with selective IgA deficiency may fall ill repeatedly from common infections such as bronchitis and gastroenteritis (stomach flu). If this happens to you, your doctor may recommend you stay on antibiotics to prevent these repeated infections. Allergies also seem to be common in people with selective IgA deficiency, affecting around 10% to 15% of those diagnosed with the condition. In addition, many people (up to one-third) of those who have selective IgA deficiency will develop an autoimmune condition, such as rheumatoid arthritis or systemic lupus erythematosus. If you have selective IgA deficiency, you'll need to work closely with your doctor to track your health and watch for these additional conditions. As we said above, selective IgA deficiency is most common in people who are Caucasian—about one in every 500 Caucasians has IgA deficiency. It's not clear why this is so, but it's likely linked to certain genes that are more likely to be found in Caucasians. Most cases of selective IgA deficiency are inherited, although in a few instances, drug-induced selective IgA deficiency has been reported. Since the condition involves a problem with your immune system, it does make you more likely to suffer from various illnesses. However, not everyone with selective IgA deficiency will catch all the bugs that are going around—other factors in your immune system could help to prevent this. People with selective IgA deficiency are more prone than the general population to allergies and asthma. Also, in addition to celiac disease, other so-called autoimmune diseases, including rheumatoid arthritis and lupus, are more common in people with selective IgA deficiency. There's currently no treatment for selective IgA deficiency. People with the condition who tend to suffer from frequent colds or infections may need to stay on antibiotics longer than usual. Celiac Disease Frequently Asked Questions. University of Maryland Center for Celiac Research. Selective Deficiency of IgA. PubMed Health. Selective IgA Deficiency. Immune Deficiency Foundation. Serologic and Genetic Testing. Celiac Disease Center at Columbia University.